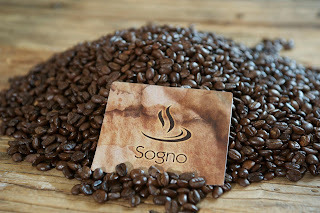 Being Frugal and Making It Work: Sogno Gourmet Coffee Giveaway Ending Tonight! Coffee! I love everything about it - the way it tastes and the way it smells! In the colder fall and winter months, hot coffee with sugar, chocolate and flavored creamer is my drink of choice. In the hot spring and summer months, I love iced coffee topped with whip cream! For your chance to win a package of gourmet coffee, simply click below!